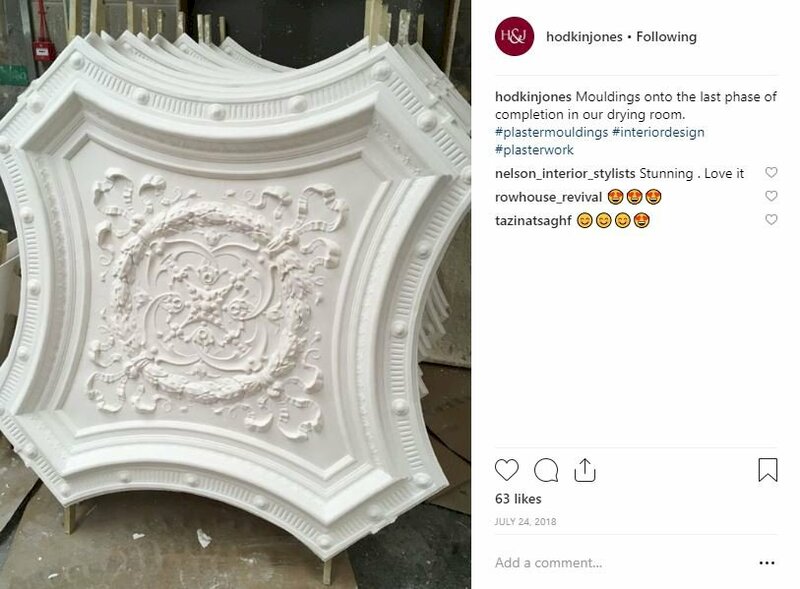 Hodkin & Jones have over 150 years experience creating beautiful ornate plaster mouldings for grand homes and designer interiors. When they came to us their online presence was barely existent; their social media channels were sparsely populated, they had an Adwords account that was ticking over without any real management, and they had nothing in place to boost SEO. 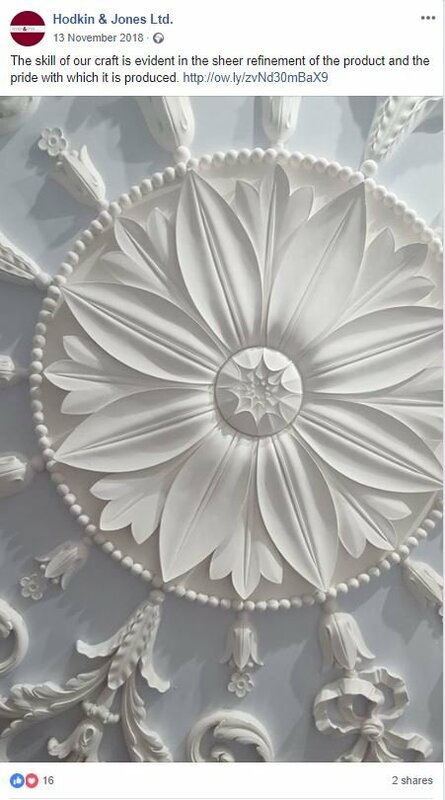 As a luxury brand, it was important for them to turn this outdated online image around, to continue delighting their existing clientele, and to spread further awareness of their brand in order to reach new customers. 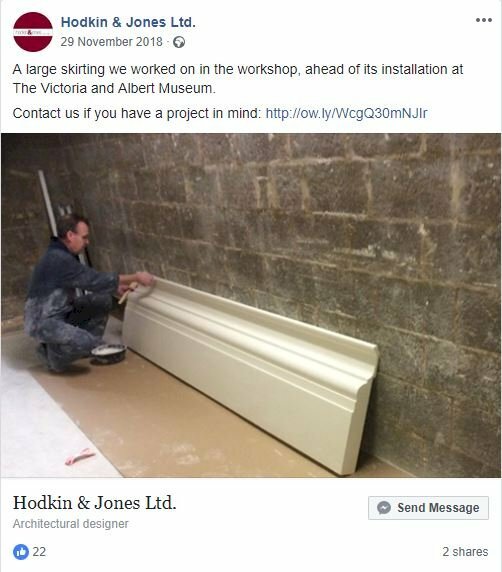 They wanted to grow their social media audience significantly, as well as increasing engagement. They wished to raise their Google ranking position, and their Adwords campaign required regular management to allow it to achieve optimum results. 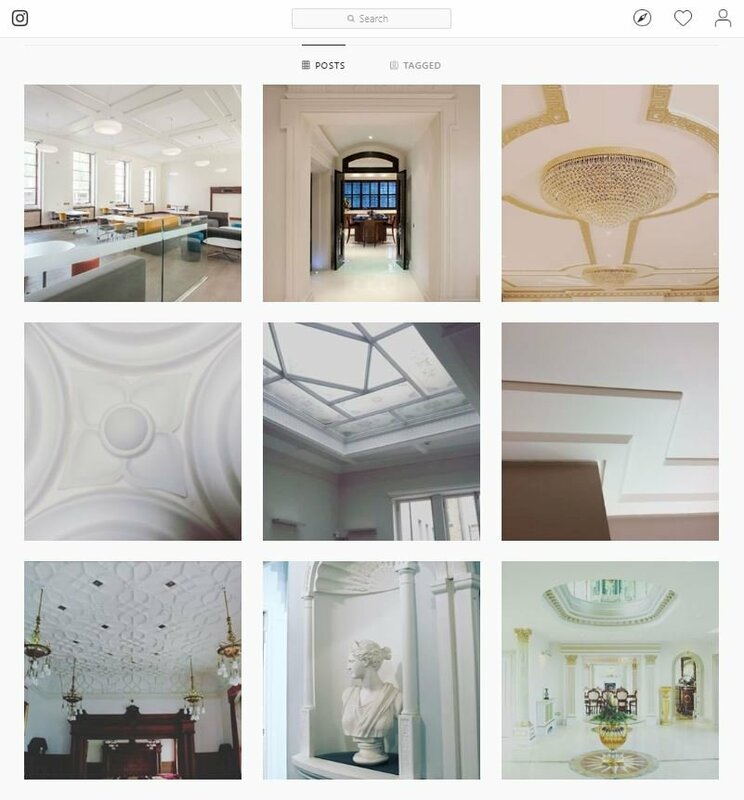 Populating social media channels with content featuring the right imagery and tone to showcase their luxury image. Spending time growing the social media audience through the use of brand awareness Facebook ad campaigns, as well as expanding social presence further through the creation and population of an Instagram account. Sending customers directly to their online store through the use of Facebook shopping campaigns. Engaging with other brands in the industry in order to establish a sense of authority. Managing the Adwords account to ensure the campaign included the most useful keywords for their business, established through thorough keyword research. Putting SEO tactics in place in order to begin the long term strategy of boosting their Google search ranking.